One of the highlights of my trip to Patagonia was the Torres del Paine national park. My friend and I had planned this trip ages in advance. We had browsed through guidebooks, looked at maps and googled information. 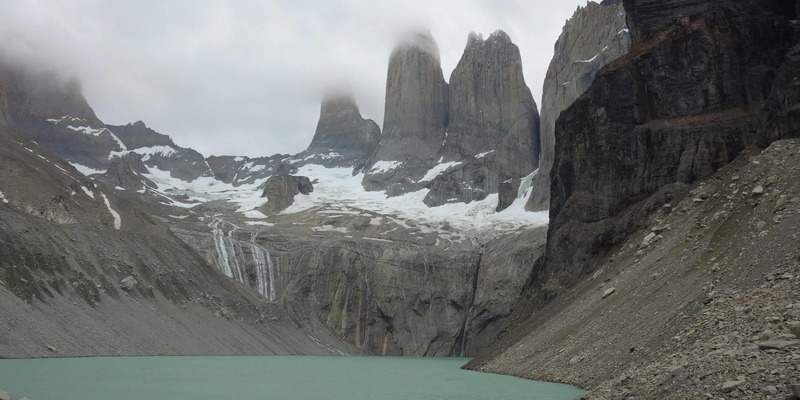 We had posted on forums and tried to find out as much about the Torres del Paine National Park as we could. We knew we didn’t just want to go for one day. We wanted to stay overnight. After lots of research, we decided to hike the W, which is, if you believe the internet, one of the most famous hikes in the world. There were definitely lots of other hikers. But regardless of how famous it is, it is one of the most beautiful hikes I have ever done. If you want to go to Torres del Paine, too, you will need to plan in advance. Keep reading to find out five things you need to know before setting out for your hike. The W trek got its name because the trail looks like a W when you trace it on a map. You can hike it from east to west or the other way round. If you research, you will find a lot of people arguing why one direction is better than another. To be honest, I don’t think it makes much of a difference. What is important is that you figure out where you want to spend the night. The W can be done in four days/three nights or five days/four nights. Considering the cost of accommodation and food, we went for four days/three nights and started in the east. Our first stop was Refugio El Chileno. We started out early in the morning on our first day and I hiked up all the way to the Mirador Torres. Halfway down, you can find El Chileno. It is a good stop for your first day and easy to reach in the afternoon. The second day was an easy day. We went to Refugio Los Cuernos, a nice hike downhill and along the side of a lake. We probably could have continued until Campamiento Frances. If you don’t mind sleeping in a tent, this is the place where I would recommend staying. The third day is the toughest of them, if you’re hiking from east to west. You need to start early in the morning and walk to Campamiento Italiano. If you carry a heavy bag, you can leave it here and hike up to Mirador Britanico. From Campamiento Italiano, we walked to Refugio Paine Grande where we spent our third and last night. The last day, I walked from Paine Grande to the Grey Glacier and back again. Even though it was 11km one way, it was an easy hike and I was back in the camp by three in the afternoon. I then collapsed on a bench and fell straight asleep – and woke up just in time to catch the ferry. The Refugio Paine Grande can only be reached by boat or by foot. But don’t worry. Ferries leave regularly and connect with the busses going back to Puerto Natales. There is no need to reserve anything in advance either. You just walk on and buy your ticket on board. Once you have planned your itinerary, the next thing you need to do is book your accommodation. 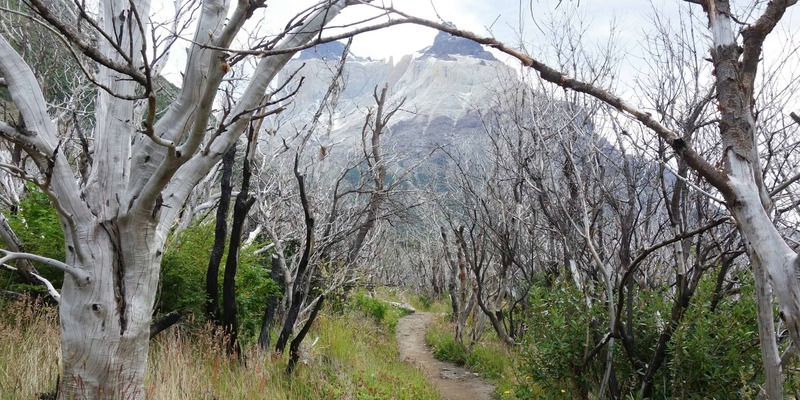 You cannot enter the park without any reservations and especially in high season, Torres del Paine books out quickly. We checked daily to see if reservations were open yet. While this might be exaggerated, it is not unheard of for refugios to book out within days. There are three operators who you can book accommodation with. 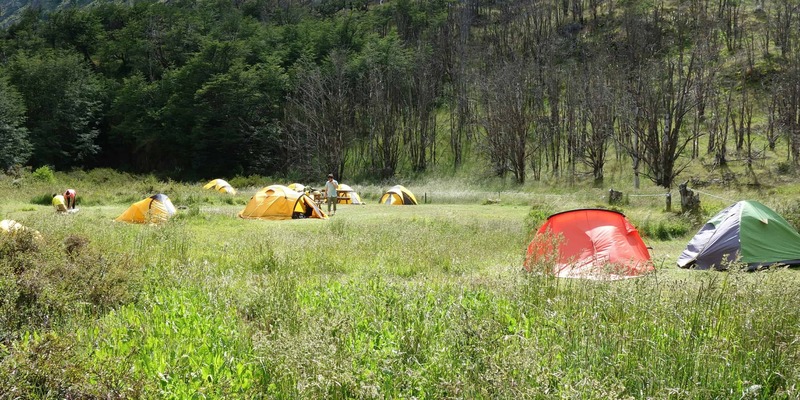 Fantastico Sur operates the refugios and camps in the east of the park, Vertice Patagonia in the west and if you’re planning on hiking the big O circuit, you should look at the campsites operated by CONAF. The national park campsites are very basic. You will need to bring all of your camping gear, cooking equipment and food into the park. The refugios and campamientos operated by Fantastico Sur and Vertice have the option of tent and sleeping bag rentals, plus full board. They are expensive but on the other hand, you can travel light and fully enjoy your hike. Booking with Fantastico Sur is pretty straightforward. You choose what you want to book plus the dates, pay and print the voucher. Vertice used to have a similar booking system, but in 2017, they decided to do everything by e-mail. This resulted in a flood of up to a thousand e-mails per day that those two people working in the office could not handle. Should Vertice not have a working booking system by the time you want to book your hike, the key is to call them. You will need to be persistent. I called at least fifty times before someone picked up the phone. CONAF is like Fantastico Sur. Bookings can easily be made online, there is no need to ring them a hundred times to gather a spot on a campground. The key to hiking the W is to pack as light as possible. If you are only staying in refugios, this means bringing a few clothes and nothing more. If you’re camping and need to carry your own equipment, this is going to be more difficult. If you have any lightweight equipment, bring it with you. If not, you can rent almost everything in Puerto Natales. Expect it to be expensive but cheaper than buying overpriced equipment there. 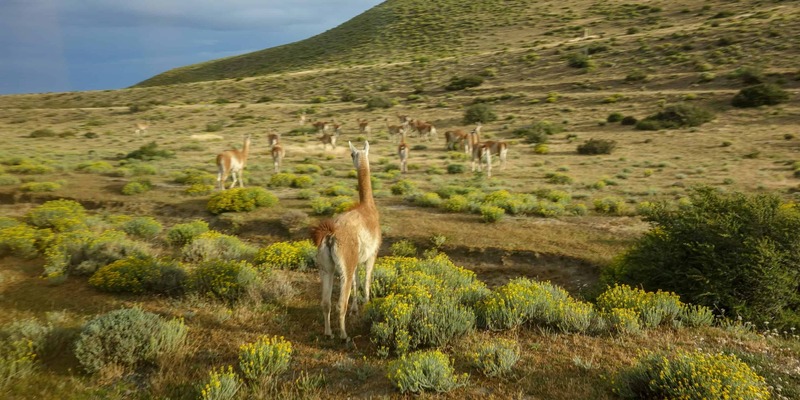 If you’re coming from Argentina, wait until you get to Puerto Natales. Equipment there might be more expensive than at home, but still cheaper than in Argentina. The biggest problem when packing will be the unpredictability of the weather. We had heavy rain on our first day, so you will need proper rain gear. The ascent to Mirador Britanico is sometimes closed because of snow, but at the same time, it can be so blazing hot down next to the lake that you want to walk in a t-shirt only. The key is to pack in layers, so you can add or remove one as needed. I was wearing a t-shirt, a thin woolen jacket, a fleece and a rain jacket. And up at Mirador Torres, where I was cold despite all those layers, I then added hat and gloves. Two days later, I had to remove all those layers (except for the t-shirt, of course) because I was sweating in the sun. Another important item to bring is a water bottle. While you can buy water in the refugios, it is expensive and not necessary. Water in Torres del Paine is drinkable, just make sure to collect it up stream of the path. … but expect to get your feet wet. We thought for a long time about renting hiking boots in Puerto Natales. In the end, I couldn’t find a pair that fit so I went in trainers and I saw many people doing the same. You do not need hiking boots to complete the W.
The disadvantage of my shoes was that they were immediately soaked upon contact with water. We had to cross multiple rivers and one swamp. I went barefoot, which resulted in very dirty feet. A nice Italian couple saved me with their pack of wet wipes. The water running in the rivers comes straight from the glaciers and is freezing cold. On hot days, remove your shoes and wait for your feet to dry in the sun afterwards. On cold days, when you are already freezing, consider keeping your shoes on. The advantage of trainers is that they usually dry pretty quickly. Plus, if you are already cold, it is easy to lose your footing in the glacial rivers and if there’s one thing you want to avoid, it is slipping and falling head first into the water. One piece of information I couldn’t really find online was how to get to the park and back again. It turned out to be a lot easier than I had thought. Busses leave from the bus terminal, north of the centre of Puerto Natales. There is one in the morning and one in the afternoon. Since the morning one can get booked out, you should reserve it as soon as you arrive in Puerto Natales. The bus takes you to the park entrance, where you will have to pay an entrance fee. From here, you can take a shuttle bus (which costs extra) to the Hotel Las Torres, or you can continue to Pudeto from where you can take the catamaran to Paine Grande. There is no need (and also no possibility) to book the catamaran in advance. You pay on board. For coming back, the same applies. You either take the shuttle bus back to the park entrance or the catamaran to Pudeto. Your bus company will pick you up there. If you buy a return ticket, the return date and hour will be left open so you can go back whenever you like. 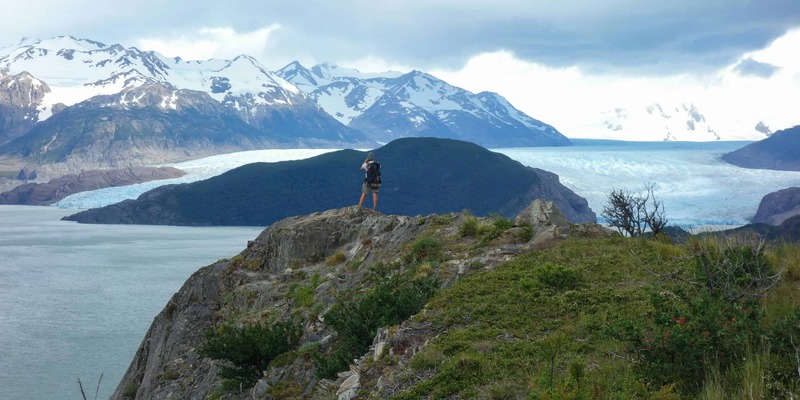 This is it, the five most important things you need to know for hiking in Torres del Paine. Are you planning on going there? Have you already been and have anything to add? I would love to hear your thoughts. I will email you soon – This is really good info and as you say it is NOT easy t get the right info on the Internet. I was really lucky. I tried to plan a trip and gave up. In the end I booked an overland section from Ushuaia to Santiago (but departed in Pucon), specifically to do the Torres area. Oasis Overland took us to Puerto Natales for one night to drop off the “W” trekkers. then the rest of the group went to Refugio Darwin. Its not part of the trail just a collection of dome tents, toilets and farm buildings outside the park. Next morning – perfect weather and we had a beautiful sunrise as we drove to Hotel Las Torres for a full day walk to Lago Torres and we got to see the towers, not at sunrise but really good weather. Next day another amazing weather day and the truck took us to Lago Grey – It was too expensive for us to take the ferry to the glacier ($135US) was extreme for a 30 minute each way boat ride) but we had a pleasant day at the Hotel Grey using WiFi, drinking coffee and walking to some Ice Bergs near the ferry point. So, your info is excellent – Thanks. I saw some pictures on FB and the weather looked really good. I think you were lucky. 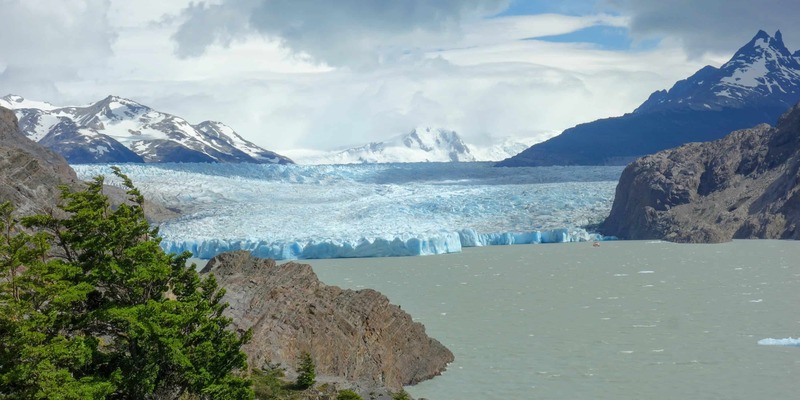 That ferry to the glacier is incredibly expensive – just like everything in Patagonia. But I’m glad you still had a great time. And while the glacier was beautiful, Perito Moreno was more impressive than Grey.